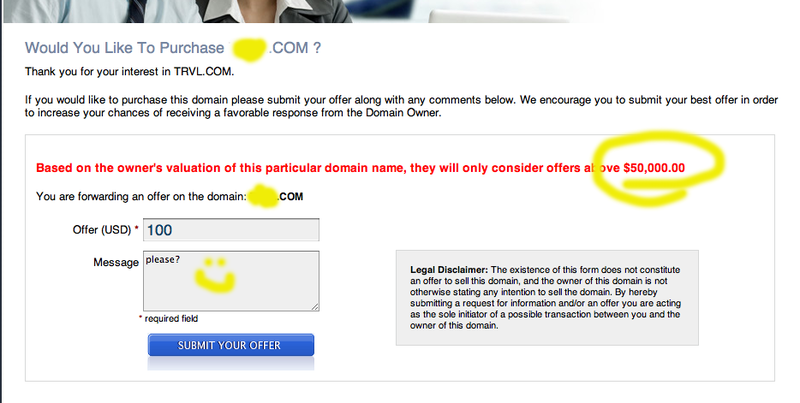 What's amazing is I already bid on this same domain last year. And the minimum bid price I was given was only US$1000. Even then I already balked, what more now. But from US$1000 to US$50000? I guess it's good business. I know when the internet was just starting, a lot of pioneers bought domains left and right, like pieces of real estate. Some of them even bought domains with the names of large multinationals before these big companies could even realize they would need to have their own websites someday. 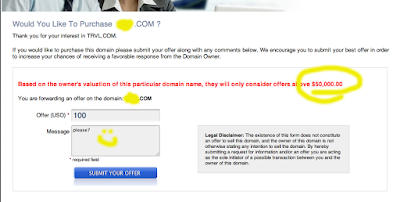 The domains were bought cheap, and they could sell it at a premium to the desperate multinational. However, developments in World Intellectual Property Rights and through the arbitration and mediation of the World Intellectual Property Organization (WIPO), these big companies have found remedy, by asserting their rights over domains that use their trademarked names. If it's a well-known trademark, one's registering a domain name or domain name version will likely not result to a windfall. The domain name business is crazy and susceptible to all sorts of hoopla but the key I believe is content development and a good domain name increases in value with that. That's adding value or creating real value. There are more TLD extensions being planned like .nyc, .gay, .health, etc. So people will go crazy again. Then we have in the Philippines of course the .ph which is expensive to have ($70) just because the Philippines has no competing registrar to Dot. The price has not gone down but why bother to buy it if you can have a good .com.